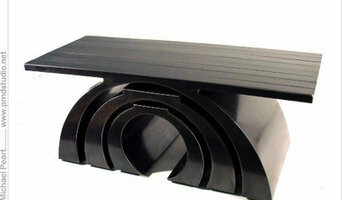 Red Metal specializes on custom hand forged architectural elements, furniture and sculpture. Rachel works closely with each client to develop the perfect item for your home. Peart Republic is an innovative design and fabrication specialist. We specialize in high-end, and handcrafted interior Functional Artwork and Architectural Elements for residential and commercial dwellings. 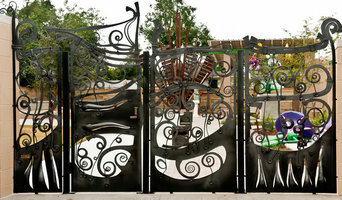 Small ironwork repairs,burgler bars,handrails,ornamental gates,driveway gates,security doors & much more. Got a budget,gotcha covered. ARC Welding & Fabrication, INC.
An ornamental ironworker fabricates bulk iron into the types of structures that a particular home calls for, then installs them onsite. Some of these pieces are mass produced, others custom crafted. Many ornamental ironworkers also have the design skills to fashion unique decorative components. Ironworkers must be trained in safety to create elements such as railings and balconies that both satisfy a home’s aesthetic needs and meet Pearl River, LA building codes. Here are some related professionals and vendors to complement the work of ironwork: Fencing & Gate Sales & Construction, Decks, Patios & Outdoor Enclosures, Siding & Exteriors. Find an ironworker on Houzz. Narrow your search in the Professionals section of the website to Pearl River, LA ironwork. You can also look through Pearl River, LA photos to find examples of ironwork that you like, then contact the ironworker who fabricated them.